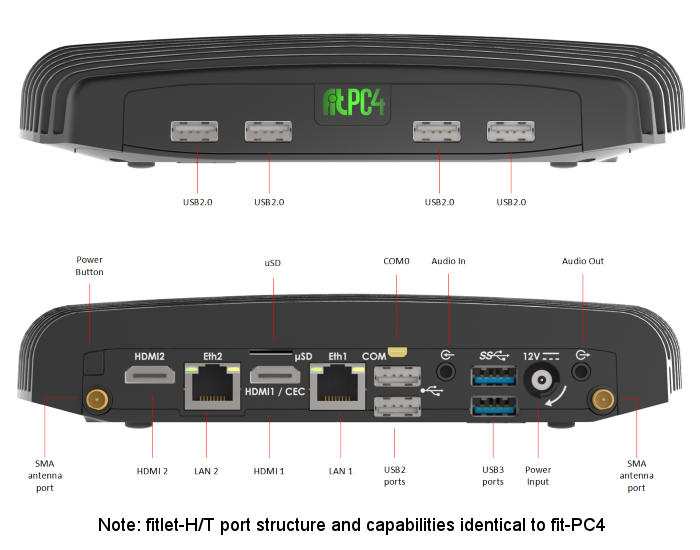 fitlet-T is a fully functional miniature computer build around AMD Embedded “Steppe Eagle” 64-bit Quad Core System-on-Chip. 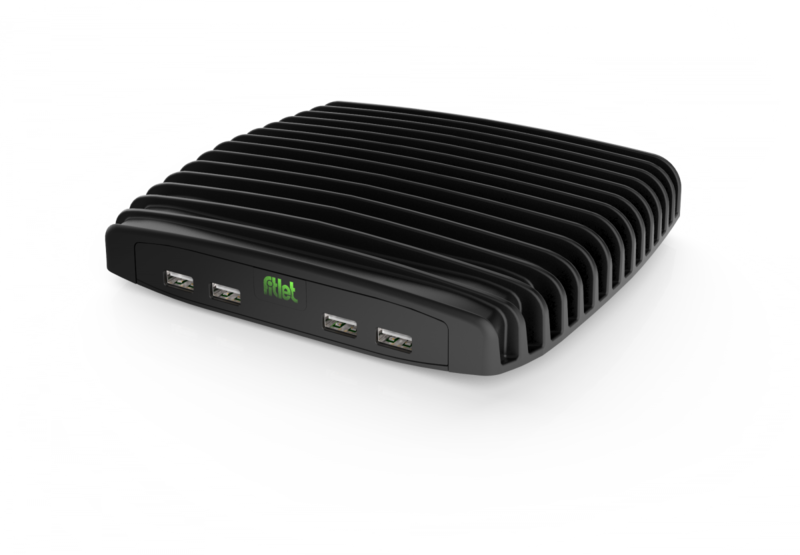 fitlet-T is the most powerful fitlet computer and has the best price / performance of all Compulab products. Built in a hardened ribbed enclosure around the powerful AMD GX-424CC device (25W TDP and clock speeds up to 2.4GHz) with Radeon R5E Graphics.